I just happened to be walking down Chestnut Street and I saw this couple kissing in front of me and I took these shots. 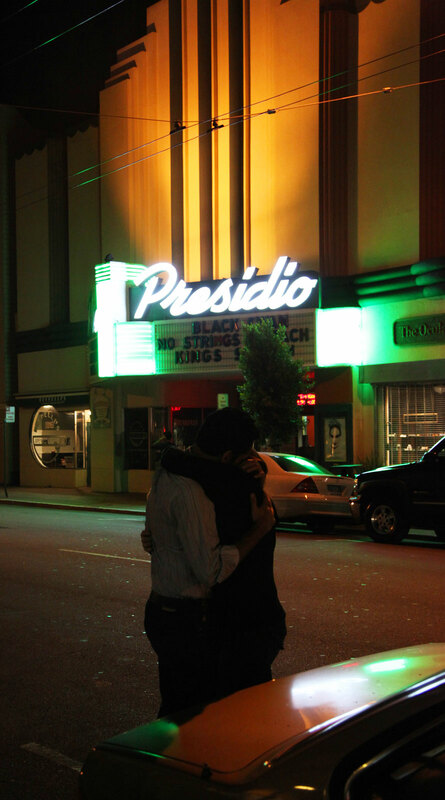 What stood out to me at the time was the energy coming from their passionate embrace and kiss, as well as the bright neon lights behind them. There was something almost magical about this fleeting moment. 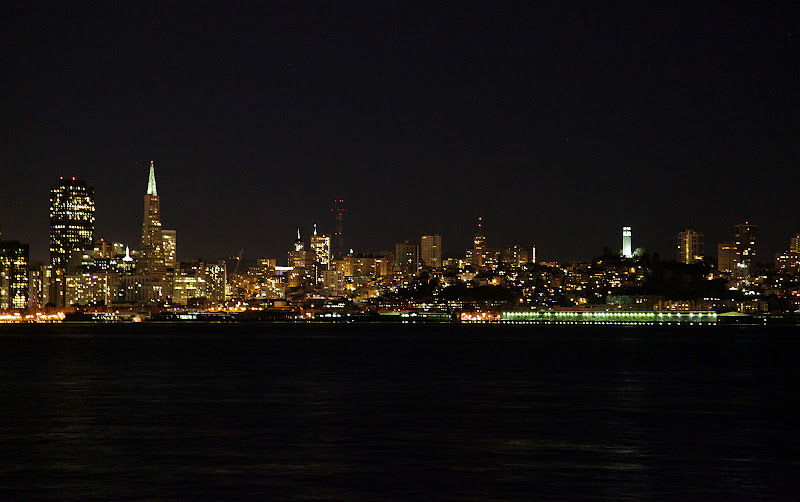 I was born and raised in San Francisco, and I imagine it has to be one of the most beautiful cities in the world. I took these shots tonight and thought I would share them with you. 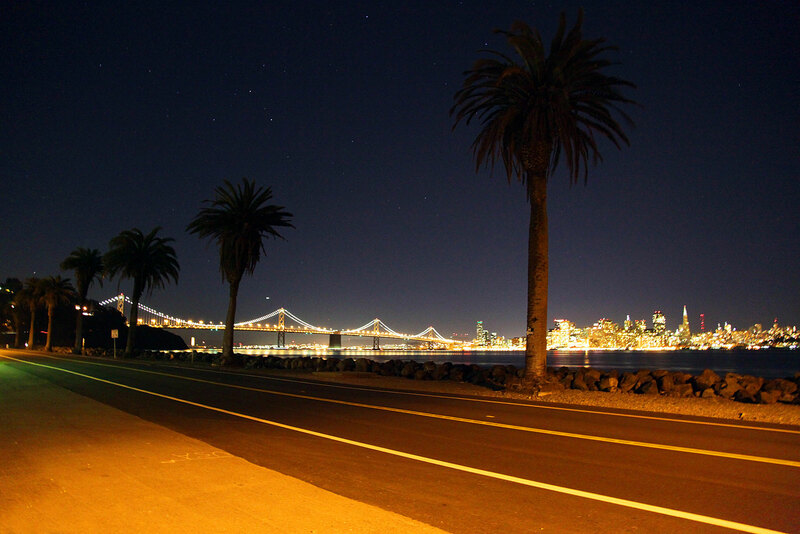 This first shot is of the San Francisco Bay Bridge and San Francisco Skyline with palm trees in the foreground. 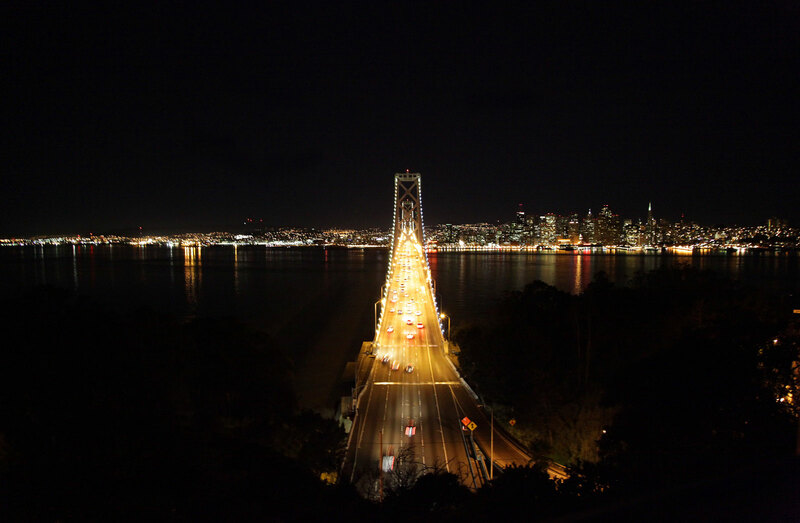 I really like this next photo which shows the Bay Bridge traffic heading into San Francisco, with the San Francisco skyline in the background. 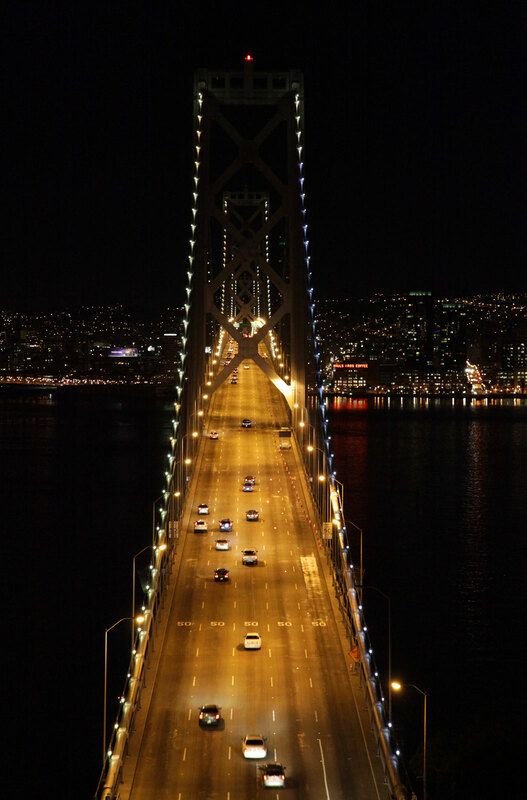 This next shot is also of the San Francisco Bay Bridge and I took this one in portrait. 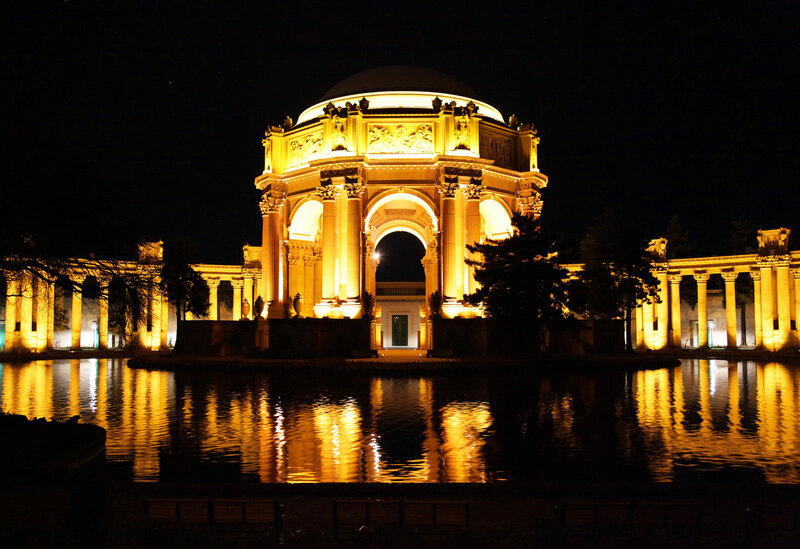 This last image is of the Palace Of Fine Arts located in the San Francisco Marina, and it looks even better today, as it the restoration project was just completed on January 14, 2011, and they added much better lighting to it as you can see. So I realize it has been way to long since I have posted photo and I hope in 2011 I will be able to publish many, many more. I really like this one I took recently on the Streets of San Francisco. Remember when everybody used payphones and now you NEVER see them anymore since everybody has an iPhone. 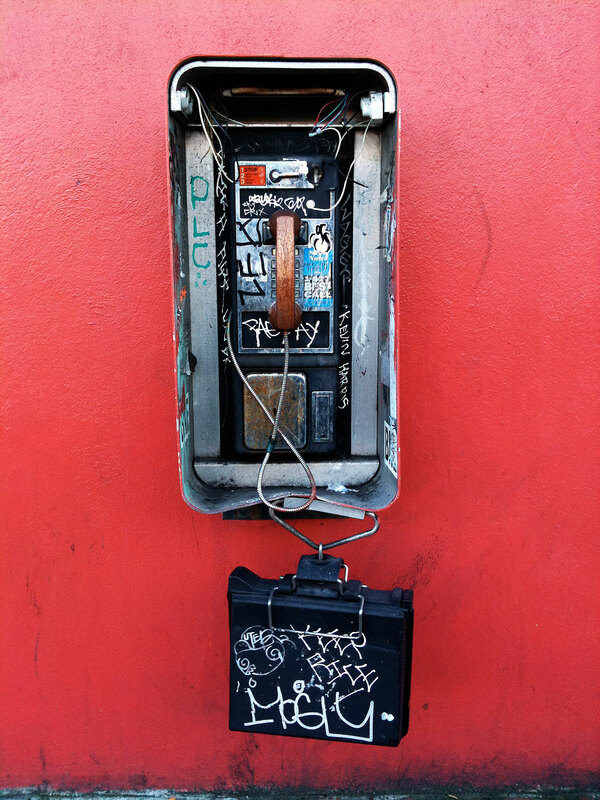 This payphone is at the end of "z" line. The objective of the Whiteside Gallery Blog is to create a fun and interesting place where talented photographers can showcase, promote and talk about their images. We do this by offering a free service where you can share your great images with the world. The Whiteside Gallery Blog is a Fine Art Photography Web Magazine as well as a place where you can enjoy beautiful photography. You can relax, have a cup of coffee, tea or you favorite chosen drink and enjoy looking at great images. Except where otherwise noted, all images on the Whiteside Gallery Blog fall under the Creative Commons Attribution 3.0 License. • Attribution. You must attribute the work in the manner specified by the author or licensor (but not in a any way that suggests that they endorse you or your use of the work). • Noncommercial. You may not use this work for commercial purposes. 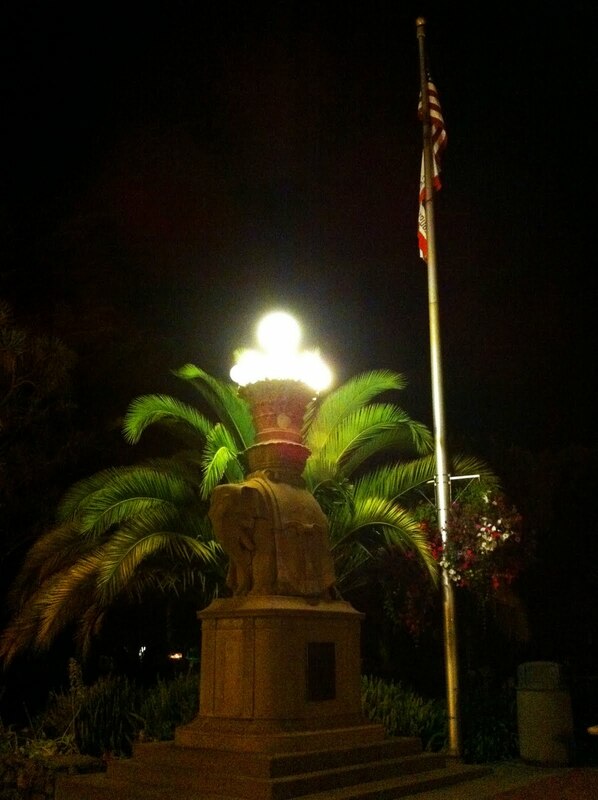 To view the detail of the Creative Commons Attribution 3.0 Liscense please click here. To learn more about Creative Commons click here. Want To Show Your Photos on the Whiteside Gallery Blog? Don't be shy. 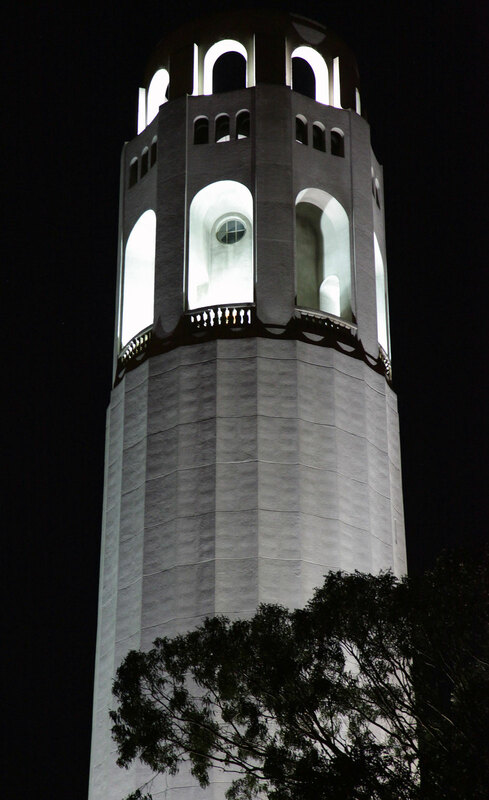 We think everybody is capable of taking great photographs. Don't worry about not being a professional photographer. If you have images you think others will enjoy, please send them in. Simply send in any photos you wish to share with the world along with any writing you wish to accompany your images. You must be the copyright holder for any images you send in to us. You as the copyright holder retain all legal rights to your images when you send them in, but once we have published the images on The Whiteside Gallery Blog we reserve the right to post them however and whenever we wish ONLY on our sight. Please send images, description and your name via email to: whitesidegallery@gmail.com. Your images will be reviewed by our editors and then placed on the blog. If you have any questions, comments or feedback please send it along. Welcome to the Whiteside Gallery. Samantha Whiteside opened the Whiteside Gallery in 1976 just off of Union Street in San Francisco at 6 Charlton Court. Jake Ehrich, the proprietor today of the Whiteside Gallery is Samantha Whiteside's nephew. Jake spent many long and interesteing afternoons in the Whiteside Gallery and learned how to shoot photography from some of the greatest photographers of the 20th Century. As a result of this early exposure, Jake became a photography enthusiast, both as a passionate photographer and one who deeply enjoys observing other peoples photography. Samantha Whiteside's first Whiteside Gallery show was in 1976 and featured her friend Ansel Adams. The Whiteside Gallery has been online for many years, but Jake believes the Blog Style Format loans itself to a much better experience for all parties involved. We hope you enjoy participating in the Whiteside Gallery!! !